The EKG course is an opportunity to learn skills and prepare for a career in the health care industry. Only $100 down to get started. Click here to see upcoming dates. Our instructors are the best. Our main campus is in the heart of midtown. 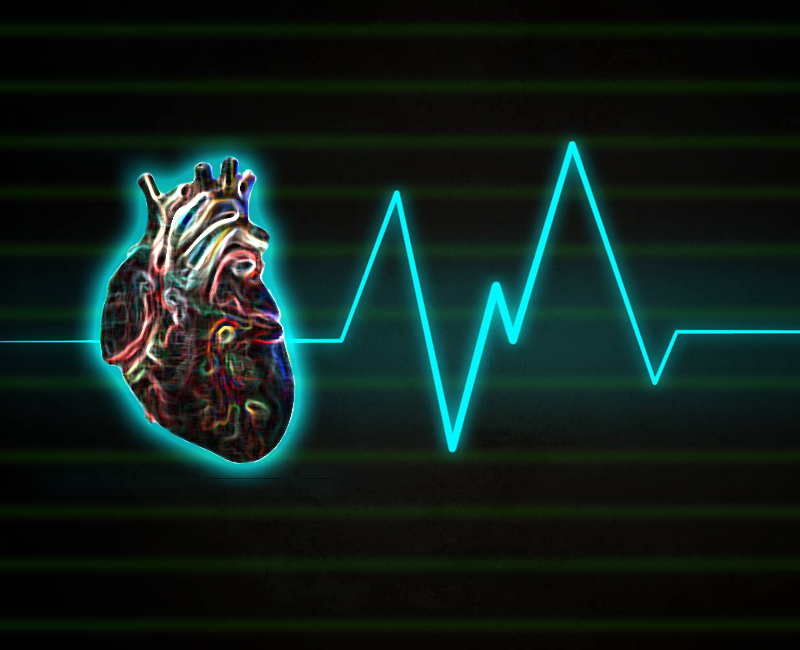 Students interested in pursuing a career as an EKG Technician, will able to label the major internal and external structures of the heart; describe the major functions of the cardiovascular system. Identify the five types of blood vessels, label the electrical conduction of the heart and obtain a standard EKG rhythm strip. Describe and identify ECG characteristics of Sinus Rhythms, Atrial Rhythms, Junctional Rhythms, Ventricular Rhythms, Atrioventricular, AV Blocks, different components of Pacemaker Rhythm. This is one of the most affordable EKG class in New York. We have some of the best instructors and a great safe and modern location in the heart of New York City. Learn the skills need to pass your exam right in the classroom, then take your skills to the realworld with out included externship program. With our pay-as-go plan you'll make weekly payments towards your career development. Our instructors is what makes our classes great. With years of realworld experience they will guide you on how to pass the New York State Department of Health Certified Nurses Aide Exam on the first try. Choosing a training provider can be tough choice. We all claim to offer the best value, in terms of price, passing rate, and guarantee. TIA offers the lowest price, one of the best passing rates, and an excellent guarantee. As a New York State licensed school and Better Business Bureau Accredited business we can honestly say what we offer is the truth and you can verify it. Start with as little as $100 down. Excellent Instructors. Some of the industry best instructors. I am very happy with how the course went. The instructor was very helpful and nice, she's really good with the skills needed to pass the exam. Highly recommend! I passed my exam! The price was very affordable. The course was great, Noel made the material easier to understand. I thought I could never memorize all those medical terms but her tips helped a lot! I was able to pass my exam on the first try. Can't wait to start working. Best class ever,excellent teacher Miss Noel.Thanks for your patience and tolerance. I wish more schools were like this, the class was the best, the teacher was the best, the price was the best. Hard work pays off. This course is 48 hours long. No, we never cancel a class. We will teach a class with 1 registered student if we have to. If unforeseen circumstances arise such as bad weather, instructor health or family problems and we have to cancel a class, we will offer all students a 100% full refund or reschedule to another class. Why should I choose your training over other health training Providers? Please call us at 212-564-2351 if you do not have a High School Diploma or G.E.D. TIA Medical Training is an academic training company based in New York City. Our passion for helping individuals with their personal career development is represented in the quality of our training courses. As an instructor founded company, we are focused and committed in providing the best learning experience with affordable prices. Our optimized business processes have allowed us to offer excellent courses at the lowest prices in the city. We strive to provide an enriched learning environment. The Mission of TIA Medical Training is to provide quality education in a safe and assuring environment. We assists its students in developing skills to become independent, mature and self-sufficient adults who will succeed and contribute to the community. In an ever-changing world, it is our goal to keep abreast with new cutting edge technologies and paradigms. We provide our students with the latest knowledge and skills that keeps them at par with any changes in their careers. Hence, the students will always be able to cope up with the changes and deliver services according to the current needs. We will do our best to hone the skills of our students so they may become the best. TIA Medical Training has relationships with the following agencies to guarantee you a quality training course. Please fill this form out. * We'll contact you by phone or email within the next 24 hours. Your message has been sent. Someone should be contacting you within the next 24 hours. The Medical Training is an academic training company based in New York City. Our passion for helping individuals with their personal career development is represented in the quality of our training courses. As an instructor founded company, we are focused and committed in providing the best learning experience with affordable prices. ©Copyright - tiamedical.com All rights reserved.